•He started his music career when he was in his second year of middle school. He posted his own rap lyrics on an online forum and was contacted by some members of the under ground group Soul Connection and eventually joined the group. •From being apart of Soul Connection and meeting people who were already active in the music industry, he was able to broaden his skills in composing, producing, and in music itself. •He eventually left Soul Connection, but he still did music by himself underground in order to find his own music. •After being recommended by the hip hop duo Untouchable, he was contacted in 2010 by TS Entertainment to be part of a hip-hop idol group. He was at first hesitant because he was afraid that he wouldn’t be able to create the type of music he wanted and be limited, but TS Entertainment assured him he would be able to live out his dreams. So he joined. •During his time of being an under ground rapper, he took the name “Jepp Blackman” because he though it left a strong impression. •Was the rapper in Secret’s Song Ji Eun‘s solo single “Going Crazy“,and even wrote the lyrics for the rapping. •In “Ta-Dah! 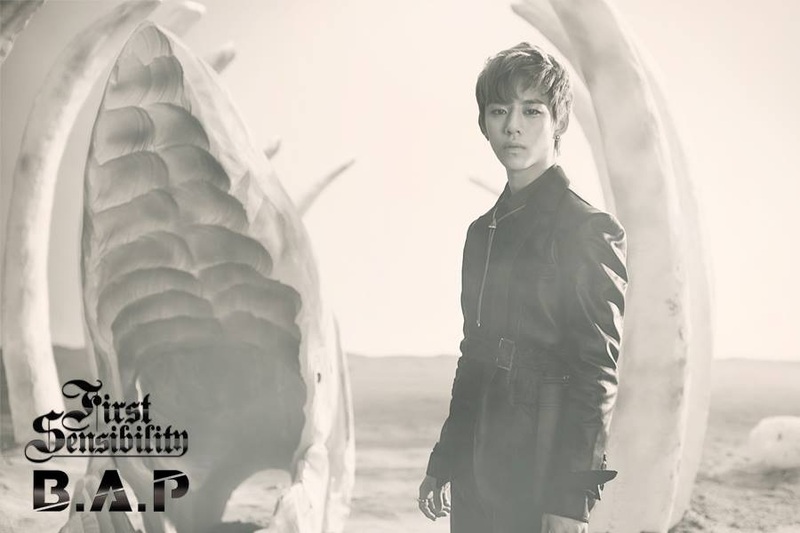 It‘s B.A.P” he is an alien that was a legend in their military back on their home planet. He loves Earth‘s war movies and thinks that all of life’s answers can be found in them. •He has a twin brother named Bang Yong Nam who sings in a rock band. He also has a sister. • Admires Teddy of 1TYM. •His ideal girl is a virtuous woman with morals. •He is the peacemaker of the group. •He is very softhearted and cries often. •He didn’t know how to talk until he was 5 years old. •His favorite movie is “Constantine”. •If B.A.P were a family he’d be the dad. •His favorite colors are red and black. •During the recording of the MV for “Warrior”, he got burnt by the fire during one of the scenes to the point where his eyebrows were gone. In an interview he threatened the fire and warned it to never do it again. •During B.A.P’s ”Power” promotions, he had to have surgery to remove a cyst on his hand and had to have a cast for over a month. During that time, he never complained about his hand hurting because he didn’t want anybody to worry about him (though from time to time he used his injured hand as an excuse to have the members do things for him). •In “Ta-Dah! It‘s B.A.P” he is an alien commander, and whenever he raises an idea it‘s almost always shot down by either Bang or YoungJae. •His ideal girl is someone who is kind. •His ideal type is actually labelmate Secret’s Hyosung because of her mother like qualities. •If B.A.P were a family he’d be the mom. •His favorite colors are black, gold, and red. •His favorite food is pasta. •In “Ta-Dah! 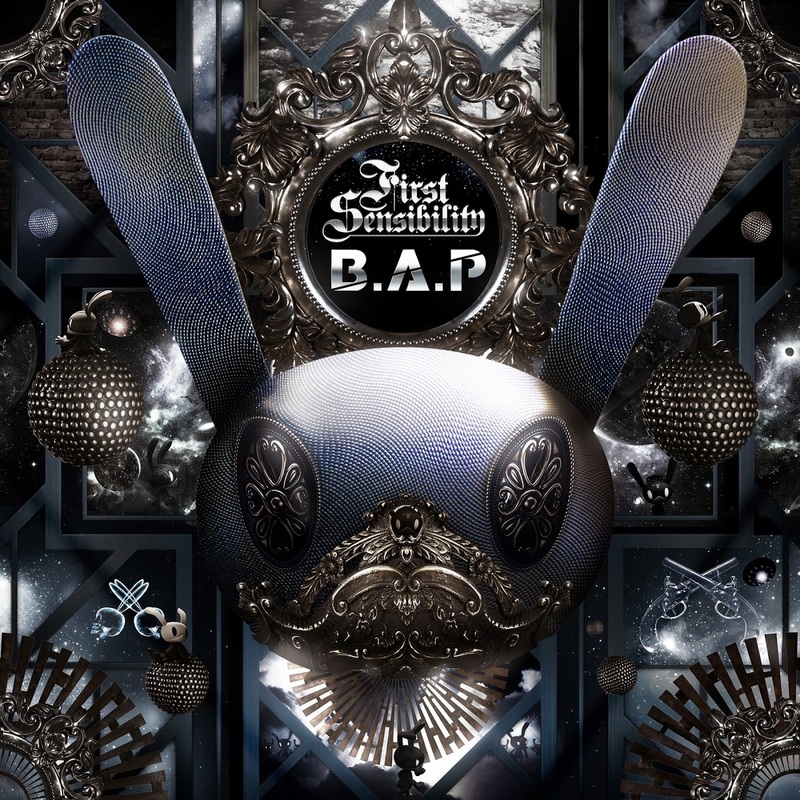 It‘s B.A.P“ he is a spy/observer of the squad placed on earth and is often seen just watching them. He landed in Busan which is why he specks in that dialect. He does not like any of the members but is fascinated by JongUp’s dancing. •His favorite movie is “A Moment To Remember”. •If he could be another member he would be HimChan. ”He’s cool, good looking and popular around women. I would like to react to the popularity among women. •If B.A.P were a family he’d be the oldest son. •His right hand is very weak so the members call him left handed. But when he uses chopsticks or sign’s something it’s always with his right hand. •He still gets nervous when he’s around fans. 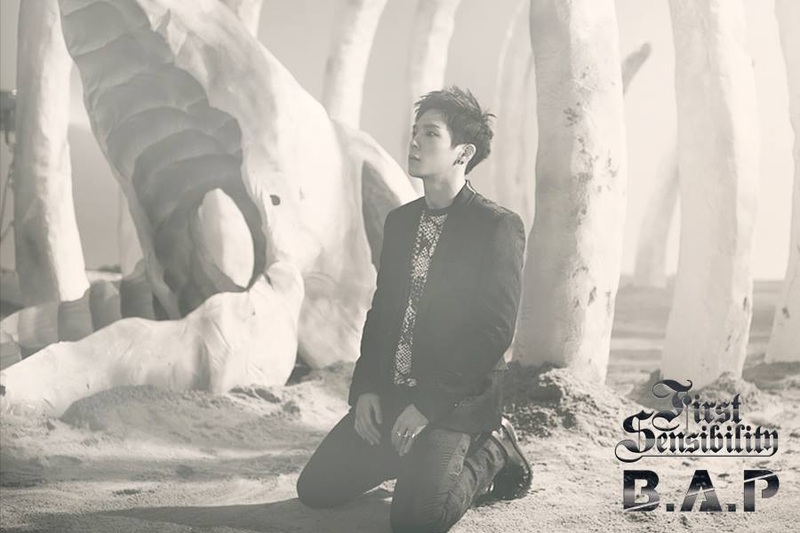 •He began to dream of becoming a singer after watching TVXQ/DBSK perform. •His friends laugh whenever someone calls in Busan’s WonBin. •In “Ta-Dah! It‘s B.A.P” he is the “Brain” of the group (thus his nickname) and believes that they can take over the world by being respectful [Which Bang adamantly disagrees with]. He holds a grudge against any member that shuts down his ideas, and during his free time he loves to go to the electronic store. •His ideal girl is someone who likes him a lot. •His favorite movie is the Korean film “Marathon Kid”. •He is a big fan of Jay Park. •He is not as muscular as the other members and has a bit of a stomach. •If B.A.P were a family he’d be the mom (he says that HimChan may say he is but in reality YoungJae is). •He doesn’t want his future girlfriend to wear revealing clothing. •His favorite color is sky blue. •He and DaeHyun became very close during their trainee days. •His ideal type is someone similar to Kang Sora’s character in the movie “Sunny”. •He won first in several JYP auditions. •He was a trainee at JYP for about a year, but joined TS because his debut didn’t seem to be nearing any time soon. •He says his flaw is being slightly shy. •He started considering becoming a singer after performing on a talent show on a school trip. •He thinks that Himchan is a child who doesn’t have a complete grasp of things and exact judgement. •He would immediately say no to scouts when he was casted on the streets. •He is very shy and at times a bit awkward. •In “Ta-Dah! 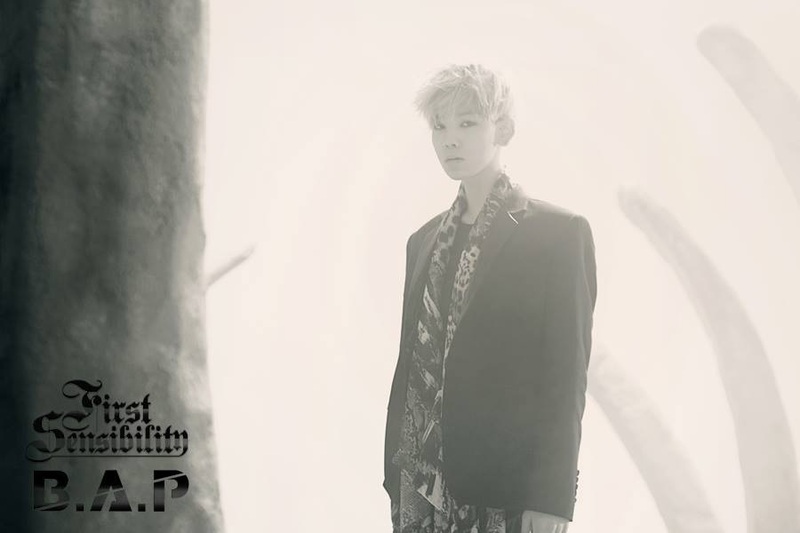 It‘s B.A.P” he is an alien that doesn’t really have much thought, and is almost always exercising or dancing. He never complains when the other members send his on errands and is always seen with a smile on his face (which puzzles DaeHyun to no end). •He doesn‘t have a specific ideal type, but would like her to be older than him. •He can sing while doing a backflip. •His favorite movie is the Japanese film”Be With You”. •If B.A.P were a family he’d be the 2nd oldest son. •He was casted on the streets for his dancing talent. •His shoe fell off during their showcase. •When asked in a interview who he wants to meet he replied Jay Park. •In “Ta-Dah! It‘s B.A.P” he is a robot that was created by Bang to help take over the world when they promoted their “Bang & Zelo”album. DaeHyun is wary of him since he was programmed by Bang,thus he could be extremely dangerous. He has a tendency to “shut down” randomly. •His ideal girl is a girl who’s good at English and has a pretty smile. 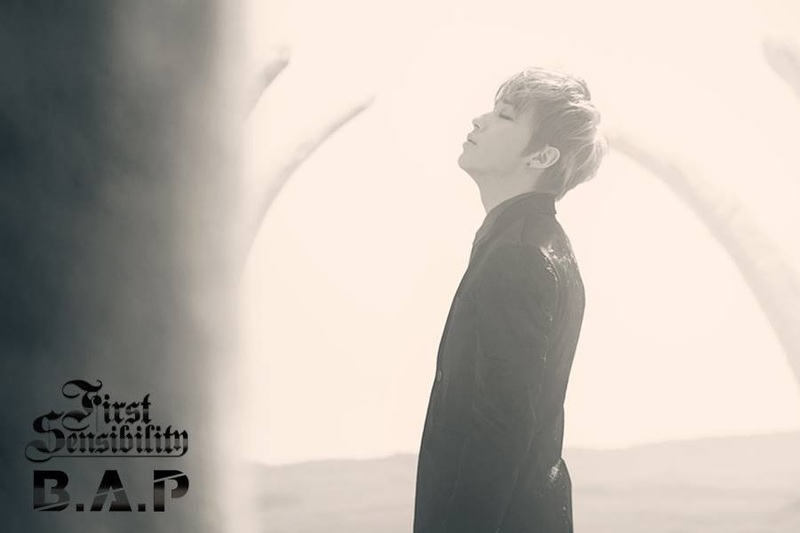 •Although he is the youngest, he is the tallest of B.A.P. He has stated that he is trying his best to stop his puberty. •His favorite movie is “2012″. •He wants his fans to call him “Oppa” even though he is younger than most of them. •When he was young he would practicing beat boxing and dance in front of his mom’s dresser by himself. •Watching TVXQ/DBSK and Super Junior made him want to become a singer. •His favorite color’s are grey, green, and red. •He is very close to JongUp since they are both the youngest and have bonded during their trainee years. •He attended a academy in Gwangju to improve his dancing and rapping skills and have to travel there from Mokpo everyday (which is about an hour). The fare wasn’t cheap and after realizing how much his parents supported and encouraged him, he learned to be frugal. •One day Dynamic Duo was performing at the Gwangju terminal and he took a picture with them. Ever since then he’s admired them. •Ironically, he was able to be featured in one of Dynamic Duo’s concerts and he performed the song “Solo”. After he asked them to “please raise me [to become a singer]“, but they hilariously replied it would be difficult since they are both going into the army. “It’s a memory I can’t forget” he states laughing.